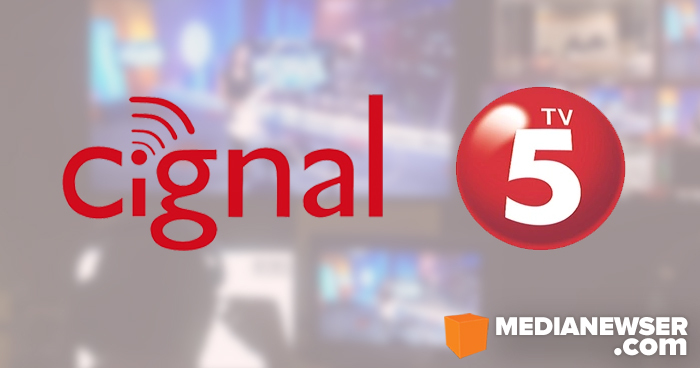 Coming to a TV near you: a new 24-hour English news channel from TV5 and Cignal TV. With the impending closure of Bloomberg TV Philippines, TV5 Chairman Manny Pangilinan and other top bosses of his media properties — News5, BusinessWorld and Philippine Star — are all set to launch a brand new news channel to be exclusively available on Cignal TV, the direct-to-home satellite pay TV provider of MediaQuest Holdings Inc.
To be called One News, the English news channel will be produced by the MVP media properties — mainly News5 — and will feature original and local content ranging from news, public affairs, weather, and business. Probe Productions, which produced the venerable news magazine The Probe Team, will also develop and produce programs for the network. As Philippine Daily Inquirer’s Daxim Lucas first reported in January, the news channel will also continue to carry select segments and international programs from Bloomberg TV — only this time for a much lower licensing fee given that it won't be running under the Bloomberg branding. So far, One News has attracted some Kapatid news talents to join in, including Aksyon Tonite anchor Ed Lingao and The Big Story anchor Roby Alampay. Current Bloomberg TV Philippines host Shawn Yao will also be hosting her own news broadcast. 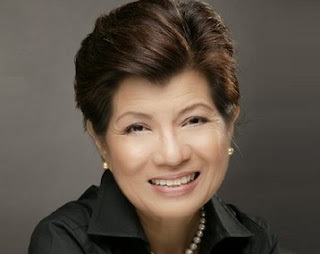 Externally, two public affairs shows, according to our sources, will be headlined by veteran journalist and Probe Team host Cheche Lazaro. TV5 just last year revamped its programming and added more sports news and coverage with the rebranding of its sports arm, Sports5, to ESPN5. Similarly, it also shut down its online news portal InterAksyon earlier this year. These moves, as well as its decision to lay off close to a hundred of its employees in February of last year, were undertaken by the management to cut down on expenses. “It’s not like we are cutting just to cut," TV5 President Chot Reyes said in an interview in October. "It’s because we are no longer doing a lot of things we used to do before, so there’s really a need to restructure and reorganize, and that’s something we see across all industries, even other networks are making cost-cutting [efforts]." One News will officially be launched this summer.